GE Intelligent Platforms introduces a new range of rugged intelligent vehicle displays designed for harsh environment deployment. The new IVD2010 and IVD2015 rugged intelligent vehicle displays are designed for deployment in harsh environments such as tanks and ground combat vehicles for applications including embedded training, 360º situational awareness, terrain visualisation and FBCB2 (Force XXI Battle Command Brigade and Below) as well as commander and gunner display consoles. Rod Rice, General Manager, Military & Aerospace Products, GE Intelligent Platforms explains that the IVD2010 and IVD2015 are the first in a planned family of intelligent vehicle displays that will take advantage of GE’s extensive experience in ruggedisation, thermal management and long term product support. The two intelligent vehicle displays represent a cost-effective, low risk option to upgrade a broad range of in-vehicle displays as part of the incremental modernisation programs currently being undertaken by the US Army. The advanced processing capabilities of the IVD2010 and IVD2015 rugged intelligent vehicle displays help deliver a complete, self-contained COTS display solution with a high TRL (Technology Readiness Level) that enables prime contractors and OEMs to shorten time to market, minimise program risk and more easily add value to create competitive advantage. The in-vehicle displays are equipped to handle highly demanding, sophisticated graphics applications such as picture-in-picture and symbology overlay, stitching multiple videos into a single panorama and allowing high performance GPGPU applications to be deployed directly on the display unit. 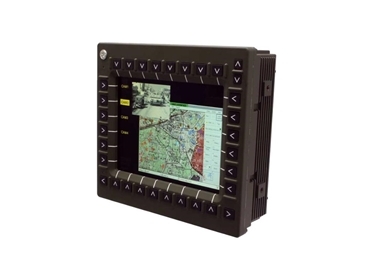 The display features deliver optimum screen visibility and usability to maximise personnel effectiveness.